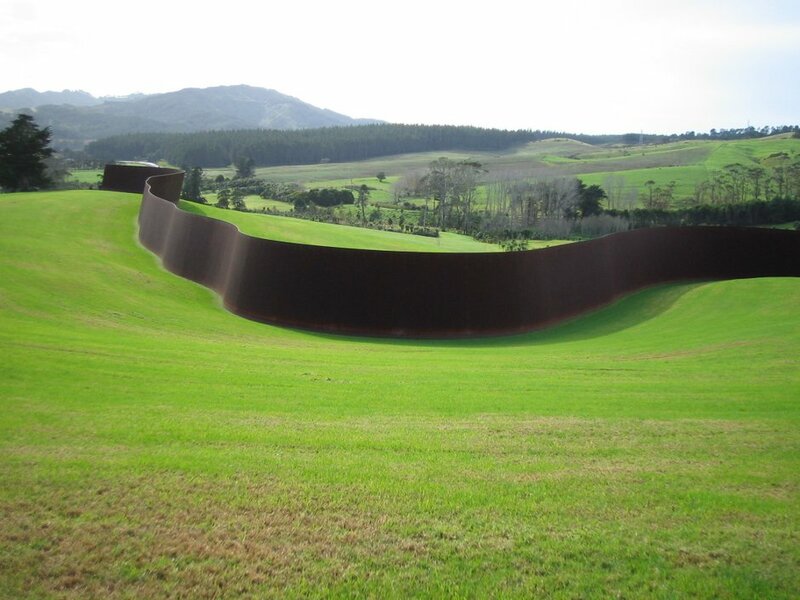 Te Tuhirangi Contour is a site-specific work located on the Kaipara harbor in New Zealand, 30 miles north of Auckland. The site is a vast open grass pasture with rolling elevations and curvilinear contours. The sculpture, made of hundreds of tons of steel, is located on one continuous contour, at a length of 257m (843 feet). The particular contour was chosen for its location, differentiation, contraction and expansion in relation to the total volume of the landscape, and the elevation of the sculpture is perpendicular to the fall of the land, which generates its lean of 11 degrees. The thing is – good land art is not only a pleasure in itself, it does also enhance qualities of the landscape, with which it becomes a part. Walking a long a work like Te Tuhirangi Contour, one will notice light & shadow, temperature, wind and sounds – in a very different way from in a totally open landscape. Encountering a building would not result in the same awareness. A work of art asks for contemplation, while a building usually has a practical function. Sometimes we have to put usefulness aside if we are to fully experience the beauty of the world. Richard Serra was born in 1938 in San Francisco. While working in steel mills to support himself, Serra attended the University of California at Berkeley and Santa Barbara from 1957 to 1961, receiving a BA in English literature. He then studied as a painter at Yale University, New Haven, from 1961 to 1964, completing his BFA and MFA there. I love this. Do you know Andy Goldsworthy’s work? I didn’t. Thanks for the link. Very cool. 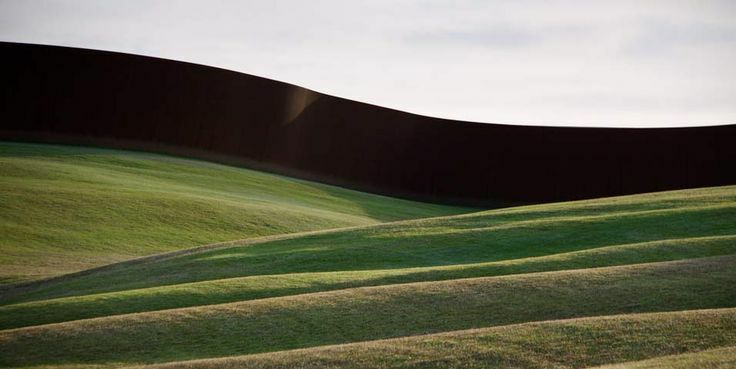 There’s a fine Serra sculpture at Storm King Art Center in New York. I wish I could post it into this comment! It is as you say: “…good land art is not only a pleasure in itself, it does also enhance qualities of the landscape, with which it becomes a part.” I have come to love so-called sculpture gardens that are not merely places to display large-scale works but in which works such as Serra’s deepen the visitor’s awareness of the land/environment itself. If you ever get to the eastern USA, you should visit Storm King!